Sea level rise and intensifying storms put coastal homes and ecosystems at risk from a number of dangers, including disastrous industrial spills. The Conservation Law Foundation (CLF) has won the right to take ExxonMobil to trial over the alleged vulnerability of the company’s Boston Harbor storage facility. CLF President Brad Campbell talks about storm-induced spills from storage tanks, and the threat they pose to local communities and the fragile Boston harbor ecosystem. 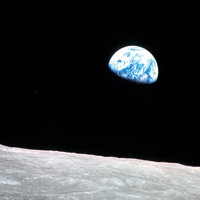 April 22nd, 1970 was the first ever Earth Day, and since then, much has been done to clean up our environment, in the U.S. and around the globe. But the earth isn’t curbing carbon emissions fast enough, and the leadership that the U.S. once showed on the climate change has almost vanished. Jonathan Pershing led the U.S. delegation to the UN climate talks during the Obama Administration. He discusses the current global outlook for addressing climate disruption. 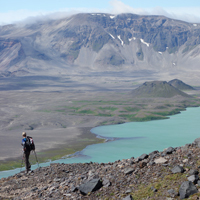 In the remote wilderness of the Alaska Peninsula, Aniakchak National Monument and Preserve stands as one of the least-traveled U.S. National Parks. Officially proclaimed a national monument and preserve in 1978, Aniakchak is always open to visitors, with no amenities, no cell service, and no park rangers -- hence its slogan, “No lines, no waiting!” Chris Solomon, who wrote about Aniakchak for Outside magazine, describes his experience there among the grizzly bears and volcanism. Pete Buttigieg, the 37-year-old Democratic mayor of South Bend, Indiana, is riding a wave of media attention during his campaign to be the next President of the United States. On April 5th, during a speaking engagement at the Currier Museum of Art in Manchester, NH, “Mayor Pete” highlighted climate change as a key concern for his generation. David Bernhardt, a former oil and agribusiness lobbyist and former Deputy Secretary, is the Trump Administration’s new Secretary of the Interior. Like his predecessor Ryan Zinke, he’s already come under fire due to alleged ethical missteps, namely 84,000 pages of documents alleging Secretary Bernhardt’s interference with a U.S. Fish and Wildlife report on the risks certain pesticides may pose to endangered species. Brett Hartl, the Center of Biological Diversity’s Director of Governmental Affairs, joins Steve Curwood to talk about these pesticides and the dangers they present. In 2015, private landowners, federal agencies, and conservation groups worked out a plan to protect the Greater Sage Grouse by placing some restrictions on grazing and oil and gas drilling in ten Western states. The Trump Administration has recently lifted these restrictions, which the President and CEO of the National Wildlife Federation, Collin O’Mara, says is dangerous for the Greeater Sage Grouse and other sagebrush-dependent species. The Rufous hummingbird follows the Rocky Mountains to migrate from Alaska to Mexico (Photo: Diana Douglas for Hummingbirds at Home). The monarch butterflies are late, the wildebeest have turned around, and the North Atlantic right whales are missing. 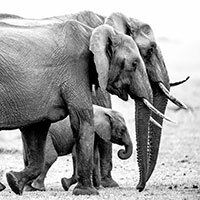 What’s going on with the world’s great animal migrations? Bees have remarkable skills to communicate and create wholesome food from flowers. Yet they can also terrify. 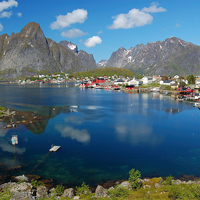 Looking Beyond the Headlines, Peter Dykstra and Steve Curwood note Norway has decided against drilling in the oil-rich Lofoten Islands. But in Florida, President Trump pushes for offshore oil and gas drilling. Finally, they look back to President Richard Nixon’s environmental policies including the National Environmental Policy Act (NEPA) in light of President Trump’s attempts to weaken NEPA. 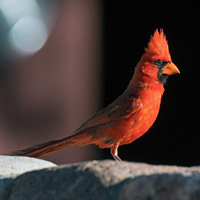 BirdNote®: What’s Your State Bird? Typically, state birds are among the more common species in a state, but Hawaii’s endangered Nene goose is an exception. 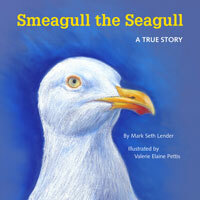 As BirdNote®’s Mary McCann reports, in some cases, state birds aren’t even native to the North American continent. 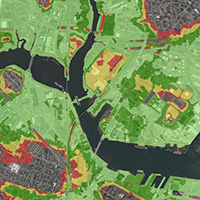 The City Nature Challenge is an international bioblitz – a brief, intensive survey of biodiversity over a set area and time. With a handy smartphone app, anyone can participate by cataloging the nature in their neighborhoods. 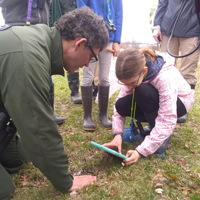 The Boston BioBlitz Initiative for Girls took a trip out to Thompson Island in Boston Harbor to practice their observational skills as they get ready for the competition. 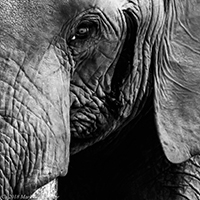 Living on Earth's Explorer in Residence Mark Seth Lender reflects on witnessing a bull elephant when he comes into musth, and becomes a force of nature that demands respect. 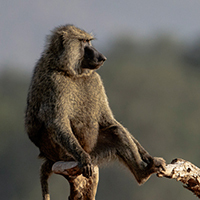 Field Note: Baboon, "The Observer"
Living on Earth's Explorer in Residence Mark Seth Lender reflects on the exercise of trying to see the world through the watchful eyes of a species not unlike our own: the baboon. -- President Barack Obama, November 6, 2015 on why he declined to approve the Keystone XL Pipeline.